Each month Crazy Vegas casino releases new games and this month is no exception. 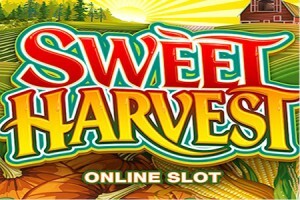 Earlier this week Crazy Vegas added Sweet Harvest to its already impressive list of slot games. Like every other month, August has seen the introduction of a new game at Crazy Vegas Casino. 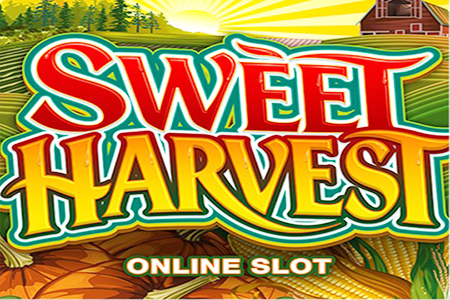 Sweet Harvest is a country themed slot with 5 reels and 20 paylines and incredible graphics. The game has a number of bonus features including wild and scatter symbols which always pay out extremely well. There is also a Harvest Bonus game where players can win up to 12 Free Spins and a multiplier which is revealed when two young lovers lie down next to each other on a winning payline. If you’re not yet a member at Crazy Vegas you’ll be pleased to hear it has a fantastic Welcome Bonus and its Freeplay bonus gives new players a complementary £3,000 to play with without having made a deposit. Players can enjoy 60 minutes at one or more of the 650+ games including the new Sweet Harvest slot without spending a penny. There are also perks for returning players; the loyalty lounge program gives players rewards as they climb the loyalty program ladder. Each bet, deposit and win earns loyalty points and the four-tier program can lead to some excellent prizes.